The new Domus Toaster offers exceptional quality in every feature. From the ergonomic, embedded lever and soft-touch illuminated buttons to the easy to use browning control, the Domus Toaster has been designed with the care and attention to detail expected of Dualit. 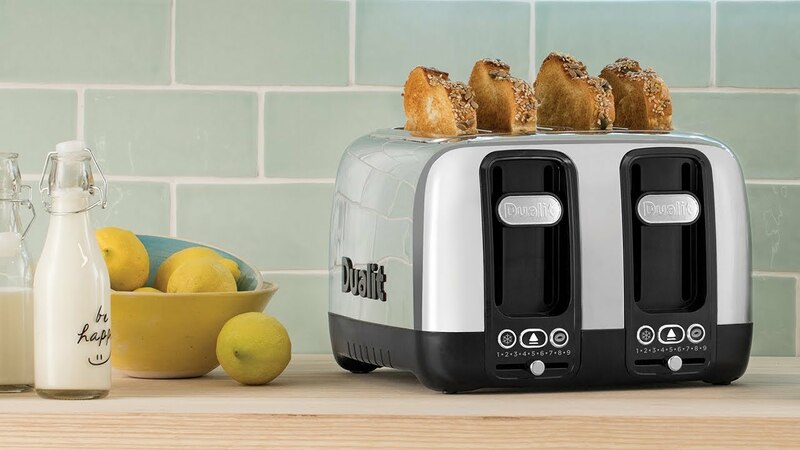 Dualit's optional extra sandwich cage means you can not only make mouth-wateringly good toasted sandwiches but also toast smaller items likes buns and teacakes with ease. The Domus Kettle is easy to fill, lift and pour. It has a large, contoured spout that requires only a low pouring angle; making it easier on your wrists and ensuring water won't drip down your kettle or onto your worktop. The Domus Sandwich Cage fits neatly into the toaster's extra large slots and helps to create the perfect toastie; crunchy on the outside with the filing staying inside!